On her journey from Carol Danvers to Captain Marvel, Brie Larson injects a vulnerability into a character that doesn't have the luxury of being 'quirky'. It’s amazing how cinematic language adjusts itself when $150 million is on the line. The metaphors become simpler, but landing them for an audience worth a billion dollars is an art form in itself. Patty Jenkins crafted a fabulous moment in Wonder Woman, when we witness Diana’s transformation into her superhero avatar. Dressed in combat armour with a shield in one hand and a sword in another, she charges into “no man’s land”. Too on-the-nose for a metaphor, perhaps? And yet, it works. Director-duo Anna Boden & Ryan Fleck ace a similar moment in Captain Marvel, where we see a montage of our protagonist (Brie Larson) doing something as simple as… falling and getting back up. 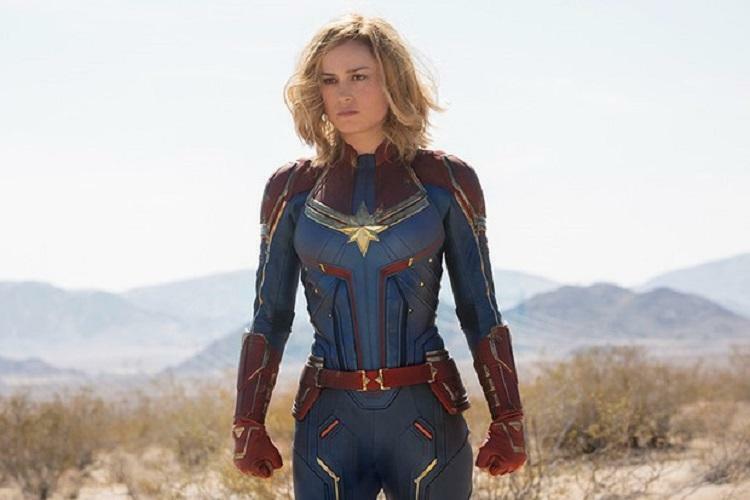 Whether it is standing up to her difficult father, her male counterparts during army training, or an alien trying to harm a loved one, Carol Danvers takes the hits and keeps moving forward. It’s a tried-and-tested fable that is effective in a world that has only recently begun to give gender equality some serious thought. 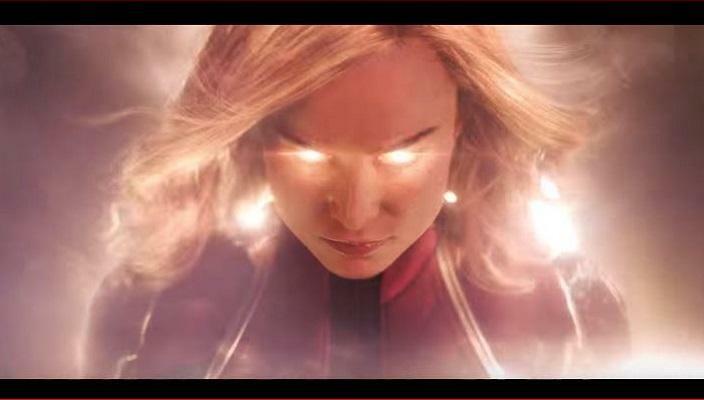 And even though it doesn’t break new ground in the genre of the superhero origin story, Captain Marvel establishes its protagonist as a key character for the Avengers’ war against Thanos. There’s a lot to like in the Brie Larson-starrer, that hilariously rehashes the charming tribulations of 90s America. Whether it’s her entry into a Blockbuster video store earning her the nickname of ‘Blockbuster girl’ (probably an in-joke for Larson), radio shacks as ‘communication centres’ or that screechy noise from a dial-up internet connection that takes forever to connect. The director-duo employ plenty of pop-culture references like a stray poster of James Cameron’s True Lies or that background music seemingly patented by the garage bands of the 90s. Few things sums up the decade better than Arnold Schwarznegger saying “you’re fired” with a smirk. Brie Larson, on her journey from Carol Danvers to Captain Marvel, injects a steely resolve and vulnerability into a character that doesn’t have the luxury of being ‘quirky’. Larson refrains from giving Danvers a particular tic, except for a nicely understated shrug each time she’s told to be ‘less emotional’ or ‘smile more’. On one hand, where Chris Evans’ Captain America feels like human-form of an ideal, Larson’s Captain Marvel feels more human. Larson doesn’t make too much of Marvel’s one-liners, rolling them out like spitfire in front of a significantly younger Nicholas Joseph Fury (Samuel L Jackson – the ORIGINAL Spitfire). Ben Mendelsohn shines in his role as the nervy, awkward Talos. One of the most heartening things about Captain Marvel is how it chooses to depict gender politics, without ever feeling like it is lipservicing the issue as Marvel’s first female superhero film. Whether it is the way Danvers and Fury drive around like they were in a buddy-cop film, or the way Fury plays the funny sidekick (for a change). One can almost feel the film’s collective disdain for casual misogyny, in its bones. Captain Marvel works as a solid origin story, but it doesn’t necessarily reinvent the superhero origin film. There could be many factors to blame for that – the overall superhero fatigue that set into the Marvel audience after more than a decade of (largely) entertaining films. Each one pushing the bar higher in terms of a spectacle. Would Captain Marvel have felt ‘fresher’ in the first or second phase? That’s something we’ll never find out. And yet, it feels unfair to judge the film in the shadow of a magnum opus like Avengers: Infinity War, and also closely on the heels of Avengers: Endgame. The film definitely suffers because of a weak antagonist, and a climactic battle that (yet again) feels like it goes on forever. Directors Anna Boden & Ryan Fleck tell a nicely grounded origin story, that hinges primarily on human elements – trust, betrayal and memory. In a world, where crossovers have become the norm, we needed a singularly focused film like this to remind us why we love our heroes so much. Because it ain’t about how hard you can hit, it’s about how hard you can get hit and keep moving forward. Who knows this better than Carol Danvers?